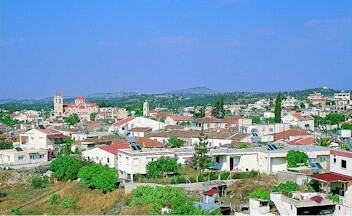 The village of Lythrodontas is some 30Km south of the capital at 420m above the sea level. It is well known for its olive groves mainly cultivated for oil production. This is a very central location from which to explore at your leisure. Super taverns in the village. The farmhouse is a couple of miles down a dirt road and set in a totally rural area. You must have a car. DISTANCES long way to the Beach. 5 minute drive to Bars and Restaurants and Shops. 35 Minute walk to Town Centre. 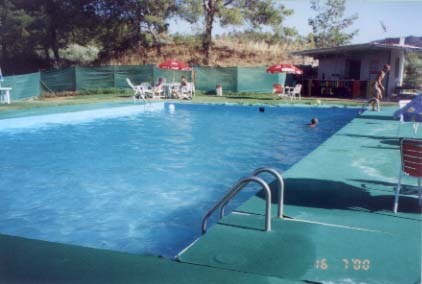 Swimming pool use in the village is £2 per adult per day and C£1.50 for children. 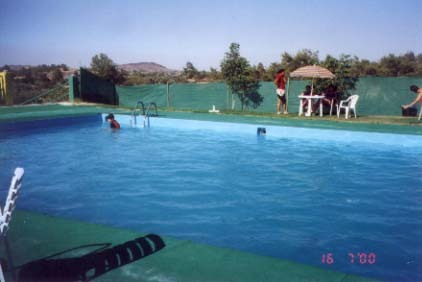 Lovely pool and setting.